By the mid 1990s it had become pointless to compete with Microsoft in operating systems and office software - and investment in potential competitors dried up. The best you could hope for as a software company was to carve out a niche as part of the Windows Office system; this was a very small niche indeed. The same thing is happening today with web services. But what Google and other web giants are doing goes largely unnoticed, even by analysts, pundits and Presidential advisors. What they are able to do is use their scale, and clever and cynical politics to obscure how they're solidifying their competitive advantage. In particular, they're swearing allegiance to (and lobbying for) an idea which doesn't apply to their operations, but which will keep smaller competitors out of the market. A Zoho, for example - or the next new YouTube. To understand this, you have to keep in mind that there isn't really such a thing as 'The Internet', which may sound strange. It might be even stranger to consider that the internet was never designed as a masterplan to be 'The Internet', thankfully, as it turned out. Instead of one network, picture lots of private networks. The internetworking protocols (the clue's in the name) provide guidelines for some lowest common denominators by which these private networks can cooperate. The good thing is that the architects' more modest ambition of "internetworking" succeeded where many grand plans had failed. It explains why the internet is so resilient, and why it's so hard to regulate, or control. The downside is that it's hard to improve upon today's internet, either, since innovation chugs along at the pace of the slowest significant network. Three things are required. One is a peering arrangement with the largest ISPs, typically achieved by hooking into a private peering facility. 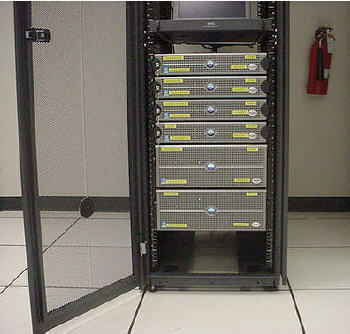 The other is to help out the ISPs by installing caching servers at the edge of the network. And the third thing is a large wallet, because private peering arrangements are only available to the very rich. Even if no cash changes hands, private peering is a club open only to those who generate huge quantities of traffic. Running your own fibre network is also expensive - but not as expensive as sending your bits over the public internets, and trusting the lowest common denominator. If you're a startup, you won't be able to afford it. You will be obliged either to use an intermediary content network such as Limelight or Akamai, which puts you at a cost disadvantage; or stay in the slow lane, which puts you at a serious, possibly terminal, performance disadvantage. So that's the infrastructure. Where does the politics fit in? The clever thing about 'Net Neutrality', the idea that means so many different things to different people, is that whatever regulations may (or may not) be written - they don't really apply to the Googles. If Verizon and Google are formally cosying up, as reports suggest, it's merely formalising the arrangements they already have. Google and the other web giants can be confident that the 'Neutrality' regulation only apply to non-members, using the public internet. Google and Amazon have been able to take advantage of ignorance and naivety. How could this be?